Are you interested in reaching more than 950 companies and 99 percent of the commercially licensed grain storage in the state? Advertising in our publications is the only way to accomplish placing your business in front of so many agribusiness decision makers. This kind of bargain doesn’t come around every day. 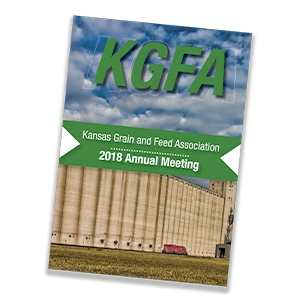 By purchasing a Gold Package, you’ll get the benefit of placing a full-page ad in every publication Kansas Grain and Feed Association produces. 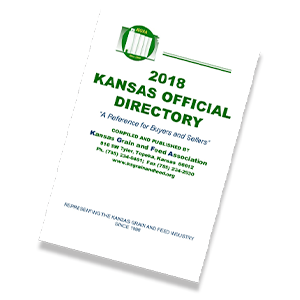 With our silver package you’ll receive the publicity of advertising in half of the publications Kansas Grain and Feed Association produces every year, with the perk of the inside front/inside back cover or a tab in our directory. A great deal to get your feet wet advertising with Kansas Grain and Feed Association. You’ll receive a directory, two newsletter and a full page annual meeting program advertisement with the purchase of a Bronze package. Our membership includes more than 950 Kansas business locations and represents 99 percent of the commercially licensed grain storage in the state. If you’ve been looking for a way to reach the Kansas grain industry – THIS IS IT! The one place nearly every decision maker involved in the Kansas grain industry meets every single year. Put your organization in front of 250 sets of eyes every April. 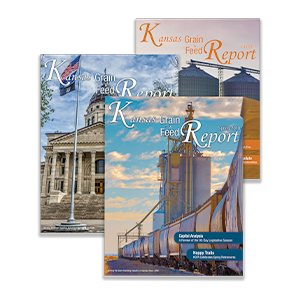 Our quarterly print newsletter is mailed to more than 650 member company locations and emailed to 1,235 contacts Containing industry headlines, association news and member updates – this is a prime place to reach the Kansas grain industry.